If you’ve been researching camping options for a bike trip in Armenia, you may have realised that campsites are not really a ‘thing’ in Armenia – at least, not yet. 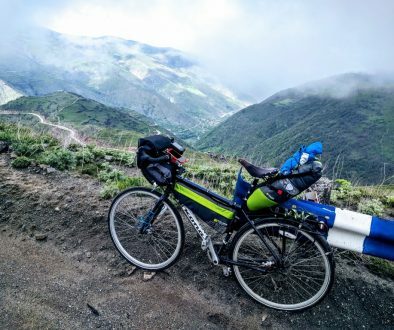 Sure, you can put your tent up almost anywhere and wild camp, but if you want meet other cyclists, have a basecamp from which to explore the area, take a shower or do some laundry, a ‘proper’ campsite is what you need. 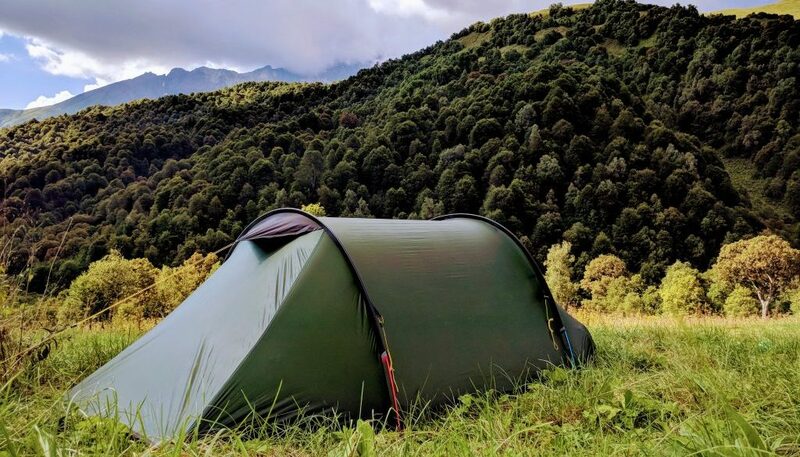 They may not be obvious, but we’ve uncovered several fantastic campsites hidden away in beautiful corners of Armenia, and listed the most useful ones for cyclists here. All have at least basic facilities (ie: toilets, running water and tent pitches), but don’t expect swimming pools, RVs and electricity hook-ups! Most sites are open only seasonally, so do check before rolling up to their gates. Located in the village of Goght in Kotayk province, about 20km east of Yerevan and close to the popular tourist sites of Garni and Geghard, Camping 3 Gs is a Dutch-run campsite and B&B, currently the closest thing to a Western-standard campsite in Armenia, with hot showers, a fully-equipped kitchen, laundry, Wi-Fi; even a swimming pool! It’s a little off the main cycling routes through the country, but it does make for a good base to explore the Garni–Geghard area. If you have a mountain bike, there are some good rides to be had in the surrounding hills and canyons. 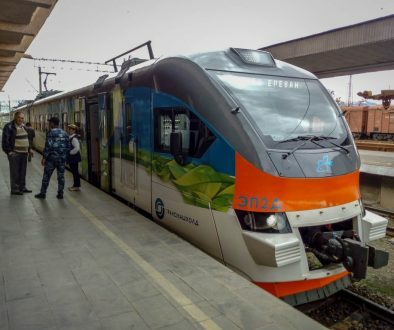 You’ll doubtless meet plenty of other overland travellers here – indeed, many use it as a base for day-trips to Yerevan, rather than the vice-versa! Perhaps best described as a ‘hip beach camp’ and popular with young Armenians from Yerevan, this lakeside campsite, beach bar and watersports centre is a good spot to socialise and meet people while overnighting on the eastern shore of Lake Sevan, perhaps as part of one of our suggested rides in the area. It’s busy during the day but quieter later as most visitors head home. The camping area is set back from the beach amid a pine tree grove, with basic toilet and shower facilities, and there’s a fish restaurant and bar on the beach. Alternatively you can head south along the beach to wild-camp for free away from the resort. About a day’s ride southeast from Yerevan can be found the very tucked-away campsite and hostel of Khosrov Forest State Reserve. The reserve is undoubtedly one of Armenia’s natural gems, and the campsite makes a fantastic base from where to explore it (though you’ll need a guide as the area is strictly protected). Even if not, the campsite in a picturesque canyon at the entrance to the reserve would make for a good overnight stop on a longer trip south if you don’t mind a 9km detour up a dirt road. The camping area has running water, toilets and BBQ facilities, but food is not available so make sure you bring supplies with you. Hugely popular with cyclists and other overland travellers due to its unmissable location at the junction of two major routes through Armenia, Crossway Camping is a lovely spot to stay the night or base yourself for cycling explorations of Vayots Dzor, with plentiful pitches in a shaded orchard, a covered outdoor kitchen area, hot showers and laundry facilities. You can also stay in a raised hut or in a converted bus if you don’t have camping gear. Established in 2015, this rustic ‘eco-camp’ set in a permaculture garden is the brainchild of ARK Armenia NGO, whose mission is to bring ecotourism to the south of Armenia. They’re certainly succeeding – the camp has a kitchen, showers, toilets, camping space and wooden sleeping huts for rent. ARK encourage visitors to consider staying longer and volunteering for one of their projects, in which case accommodation is provided in exchange. A second camp is under construction in the mountains north of Kapan. One of two seasonal campsites operated by Zangezur Tour as part of the protected area administration in the south of Armenia, this staffed summer camp with permanent tents and all basic facilities is located at the foot of the southern approach to Mount Khustup, just beyond the isolated village of Shishkert, which itself is an 8km ride on a dirt road from the main road through the region. If you’re riding through Shikahogh State Reserve from Kapan to Meghri, this is a fairly convenient halfway stop – or if you want to mountain bike or hike Mount Khustup itself, it’s a good basecamp from which to do so. ﻿ Also operated by Zangezur Tour, this campsite was newly established in 2018 just beyond Lichk village on the territory of Boghaqar Sanctuary, with a lovely waterfall a short hike away. It is relatively close to the M2 Kajaran–Meghri highway if your ride takes you in that direction. 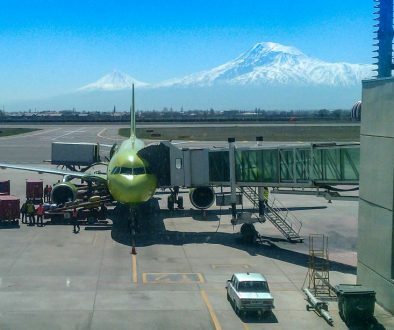 Know of other campsites in Armenia that should be listed here? Let the community know in the comments below. All of the information about Armenia are useful.